So other than sourcing radiators and heaters the other option I had to keep the rooms warm was Thermal Door Curtains by Yorkshire Linen. I didn't even know these existed until we moved into a cold house! 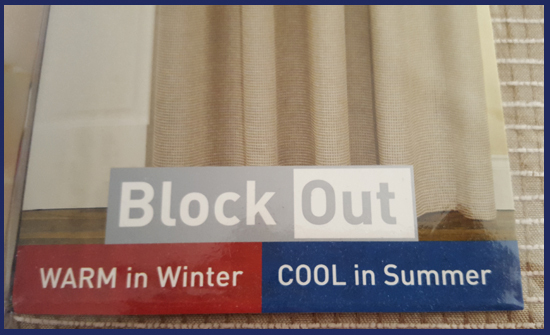 The way these type of curtains are designed is to keep you warm in the winter and cool in the summer with the added 'block out' option. I have no heating in my dining room and the small radiator in the hallway is situated right next to the front door, which in the colder days got very cold to the touch. So what I needed are curtains to keep the warmth in. I am happy for the sun to come streaming in during the day, and in the summer months it is rather easy to cool the house so whilst these Thermal Curtains have those additional benefits, for me, it is more important they keep the warmth in. 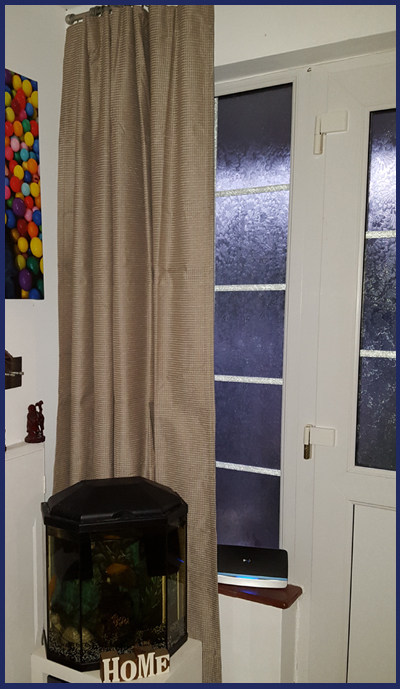 Yorkshire Lining offers 2 designs for their thermal door curtains and the beige colours match our hallway perfectly so I was very pleased when we received the Kent natural curtains through the post. These curtains offer a reduction in noise and draughts, block out sunlight, prevent heat loss and are eco-friendly. 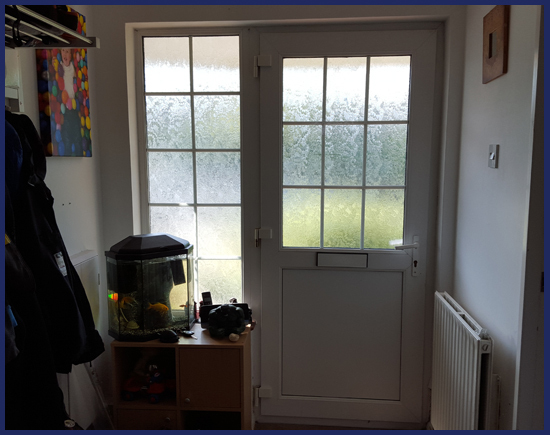 They have a good width to them which cover both our window and our door and obviously, cover the door in length, but because they are thermal and have an acrylic backing they do let off an odour initially, but this soon passes. Also due to the thickness it's taking a while for the folds to drop and the curtains to hang nicely, but slowly it's getting there. We now have the curtain up in the hallway and it has made an immediate effect on the room. It has blocked out some light coming through the window but it is also keeping the cold out and that slight loss of light is a small price to pay in my opinion. Also, because we have a new curtain I gave the hallway a much-needed mini makeover. 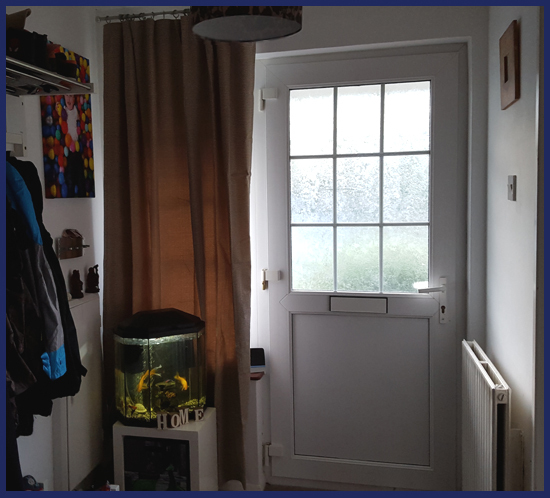 The fish got a new stand, our beloved Lightning McQueen has moved to the conservatory to make way for our lovely new rug to go with the shoes and our key rack has finally been put up. So my hallway feels warm and cosy just in time for Autumn nights and had a mini makeover in the process - great result all round in my option. 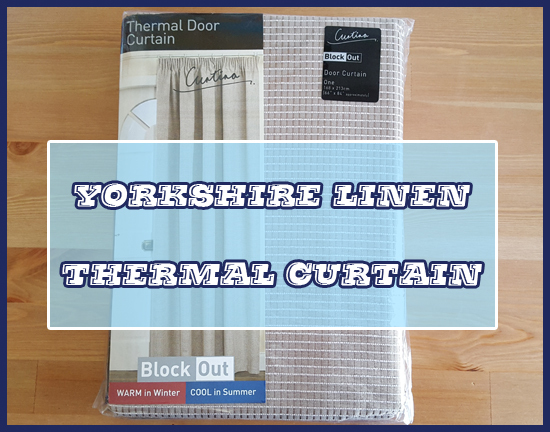 Disclaimer : I received thermal curtains from Yorkshire Linen to review. what a brilliant invention! They will certainly come in handy heading into autumn and winter!